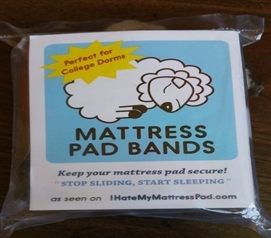 One of the dorm essentials for your college dorm bedding that you cannot head to college without is a Twin XL Mattress Pad. Twin XL Mattress Pads provide an extra layer of soft comfort between you and your university provided mattress and also add a protective barrier between your college dorm bedding and the dorm mattress. 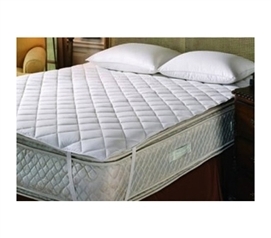 DormCo offers a wide variety of Twin XL Mattress Pads for you. 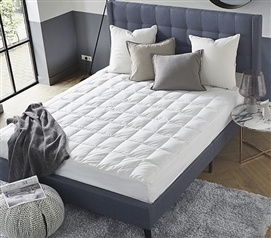 Take a look around and discover our Waterproof Twin XL Fitted Mattress Cover and Encasements that are perfect for the college athlete as well as our 100% Cotton Mattress Pad that is filled with 100% Cotton. However, that is not all that DormCo has to offer! Discover our Twin XL Mattress Encasements and our Featherbed Twin XL Mattress Pad with Bed Topper Combined! Dorm mattresses are old and have been used year after year by a slew of different people. 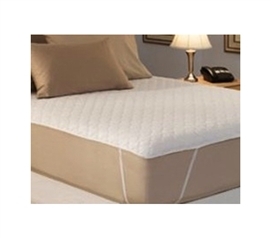 College dorm Twin XL mattress pads, covers, and Twin XL mattress encasements are great in that they provide a barrier between the dorm mattress and your Twin XL Bedding and dorm mattress topper. Dorm necessities like mattress pads should not be passed by when you're shopping for college stuff in preparation for dorm life. Add that little bit of extra softness and comfort to that university provided mattress and get a quality night sleep night after night with the simple addition of a Twin XL College Mattress Pad!